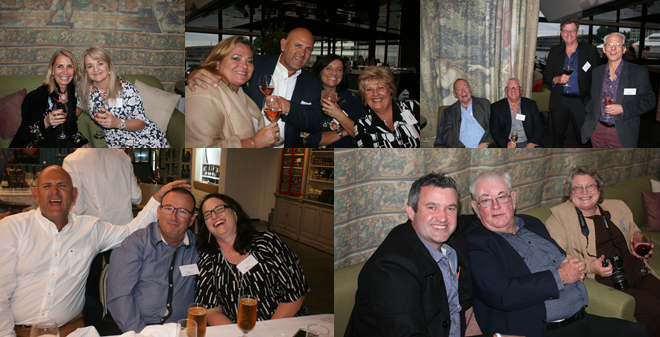 Nineteen 100 Club members enjoy the very best of Tasmania over four unforgettable days. 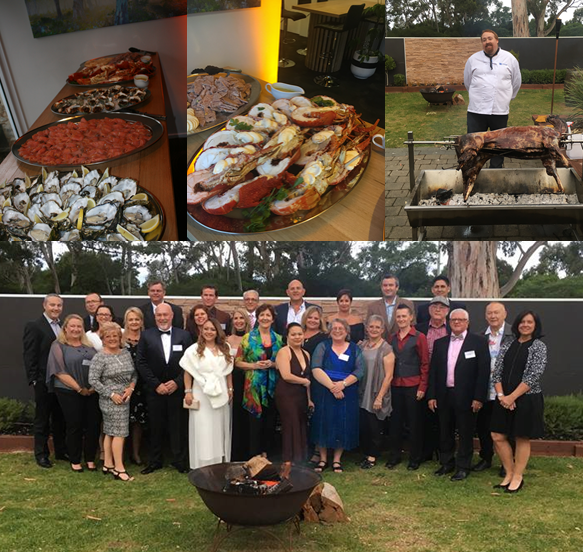 On Wednesday 30 November 2016, nineteen 100 Club members – accompanied by a handful of Wyndham Vacation Resorts Asia Pacific staff members and Executives – kicked off one of the most memorable 100 Club events to date. The event began at the beautiful Brooke St. Pier in Hobart with a signature cocktail and canapés in the stunning Glass House restaurant, before moving downstairs for dinner in Brooke St Larder. The restaurant was closed off especially for our 100 Club guests, who received personal attention throughout the event. I think their faces tell the story. The next morning, after a lovely breakfast at Beaches restaurant onsite at Wyndham Seven Mile Beach Resort, the group departed for a full-day winery tour through the beautiful Coal Valley. Kicking off at Domaine A Stoney Vineyard the group enjoyed a delicious platter of Tasmanian cheeses with their selection of wines, and also took some time to smell the roses. 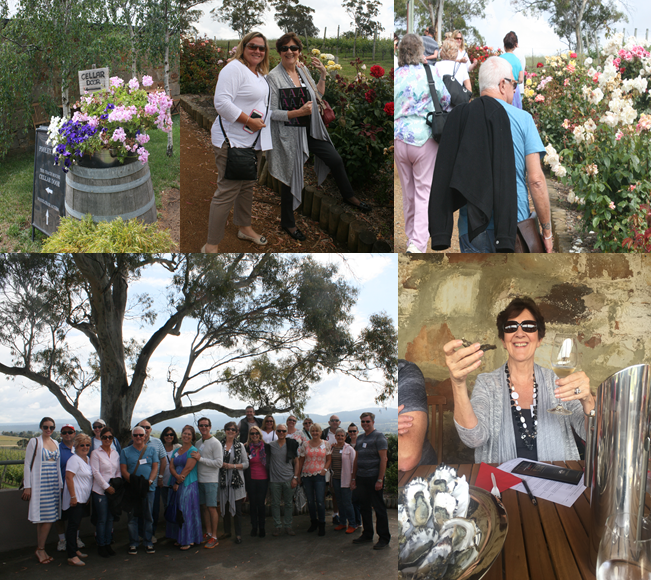 The next stop found us at the beautiful Pooley Wines Estate, sampling freshly-harvested Freycinet oysters with their beautiful array of wines. Lunch was served at the picturesque Coal Valley Vineyard, with yet more delicious wine! The final stop for the day was at Sullivan’s Distillery, where the group tasted some of Tasmania’s finest whiskey. Our wonderful 100 Club guests kicked off Day 3 nice and early as they eagerly headed out to their next mystery destination. All activities remain a mystery to our special guests, so the fun-filled days are spent trying to work out that night’s dinner destination or tomorrow’s activity! Much to everyone’s delight, Day 3 saw us jump on board five planes and take a quick flight across to scenic Bruny Island, where we enjoyed morning tea, an unforgettable cruise around the island, and then some lunch before jetting back to the mainland. In the 100 Club we are all about ‘firsts’ – nothing is impossible, and our presence was a first for Bruny Island air strip; the tiny 750-metre runway had never had five planes land and park at one time before, but that didn’t stop us! 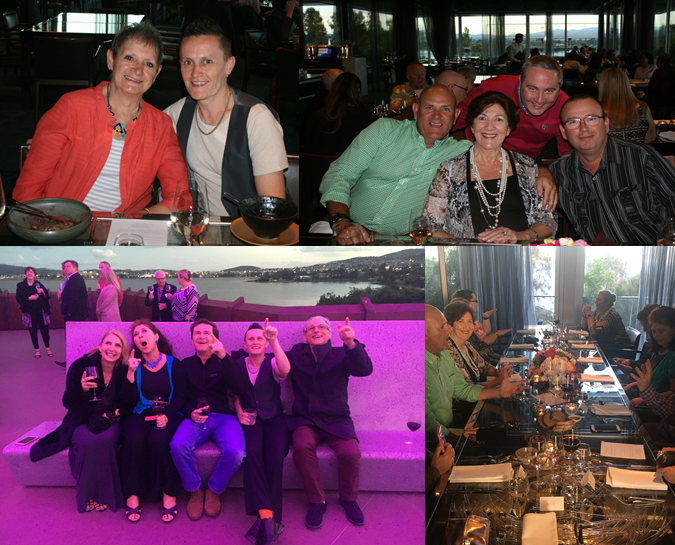 Day 3 was topped off with the most spectacular dinner at MONA. 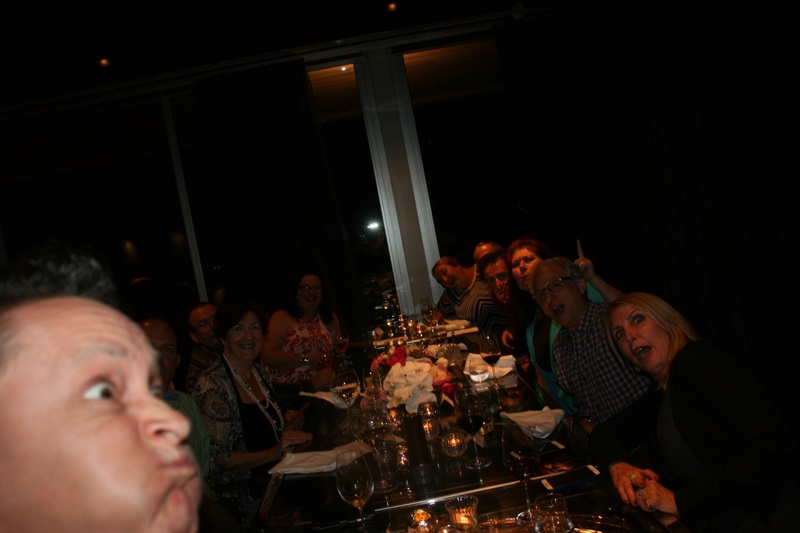 The guests enjoyed the first two courses of their dinner before being escorted out to watch the beautiful James Turrell light exhibition in the grounds of MONA. Guests enjoyed drinks back at Beaches restaurant at Wyndham Seven Mile Beach Resort each night after dinner, where the fun continued. Day 4 started as all our days did, with a lovely breakfast by the fire in Beaches restaurant. From here, the group spent their final morning in Tasmania exploring all the beauty it has to offer, with some guests choosing to venture down to Salamanca Markets and even Port Arthur before their flights home. A special thanks must go to the entire team at Wyndham Seven Mile Beach Resort for their impeccable customer service. The 100 Club members could not sing your praises loudly enough! A special heartfelt thanks to Michael Armour, Samantha Minnikin, Jeannine Harris and Natalie Karwan, who continually went above and beyond to ensure the event was a success. Your late night buggy rides in the pouring rain and endless smiles into the early hours of the morning did not go unnoticed. Thank you also to Kieran and Emma McKenna, Adam Geneave, Brenda Tyack, and Andrew Southam for your care and dedication to the group. Thank you so much for everything you have done for us. We had an amazing time and you and your team have just reconfirmed that we definitely made the right decision to buy into Wyndham all those years ago. 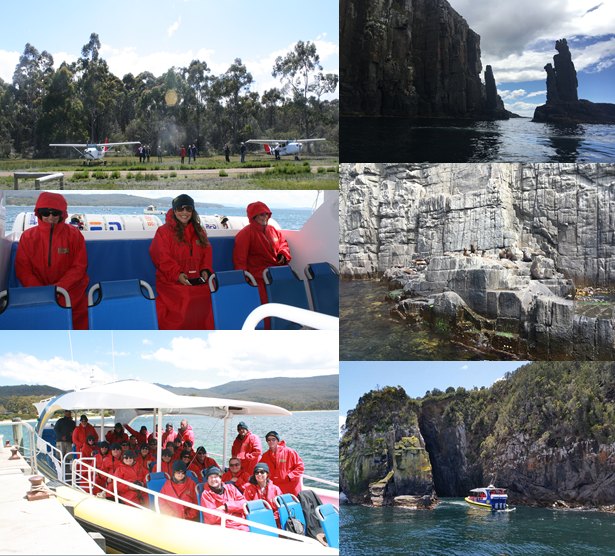 Thank you so very much for the most AWESOME Tasmania Experience!!! It was amazing from the moment we landed until the moment we left!! Your organizing was impeccable down to every last detail! Can’t wait to return to Tasmania, a resort we might not have gotten to if we had not had this wonderful unexpected “gift” come our way! Thanks for making us all feel so special and the gifts you put in our rooms were beautiful!! I truly believe there was NOTHING you could have done any better!! Have arrived safely in Sydney, Thanks for a fabulous couple of days in Hobart. You arranged everything beautifully. I can honestly say that Therese and I had a fabulous time in Tasmania. I was a little hesitant in going in the beginning but once I was there, we both had the time of our lives. Thank you for everything you did to make this event wonderful. We had an absolute blast over the last few days! Thanks for being such a great host. It’s clearly in your blood and you did one helluvamazing job. Again, a massive thank you for everything & the wonderful gifts. We have definitely been reminiscing and telling everyone all about our time in Tassie. It was an amazing experience with amazing people. Thank you so much for organising it all, we had a fabulous time and it was wonderful to meet everyone. This entry was posted in (TAS) Hobart, australia, travel, vacation ownership, worldmark and tagged 100 Club, WorldMark South Pacific Club, Wyndham Vacation Resorts Asia Pacific. Bookmark the permalink.